Love My Hairitage: Demi's Hairfinity Growth Challenge!! Hey Curl friends, the challenge is officially here and I am so excited!!! Below I have also documented my starting hair measurements and I will measure again on Feb 1 when I've reached the two month mark to see if I have obtained/retained any length by adding Hairfinity to my regimen. WHAT SHAPE IS MY HAIR IN? 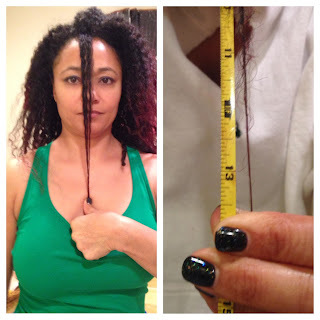 Overall my hair is healthy with no excessive shedding or dryness, and thankfully no breakage. My hair is very uneven though because I trimmed off the dead ends but made no effort to even it up or cut a style - I just cut off what needed to come off. My hair is a combination of 3C/4A and is a fine texture with normal porosity. I do not use styling utensils (comb, tangle teaser, Denman brush) and only use a boar brush sparingly around my edges. I have not flat ironed my hair in over 14 months and have not used henna for about seven months. I do have a semi-permanent color on the ends that I did myself and believe the color is one reason I have been unable to retain length this year. I sleep in a silk scarf every night and never handle my hair roughly or in a rush. WHAT ARE MY HAIR GOALS? 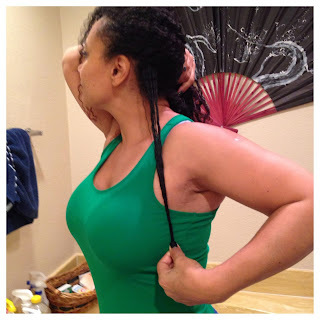 I want to maintain healthy hair that shines, has normal shedding, minimal knots, and has a natural curl pattern. 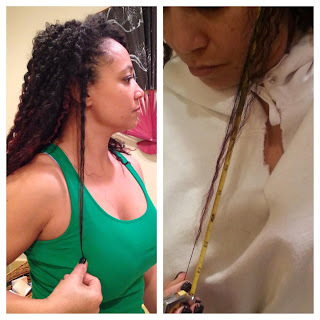 I want to retain as much length as possible while maintaining healthy ends that are not lifeless or dull. 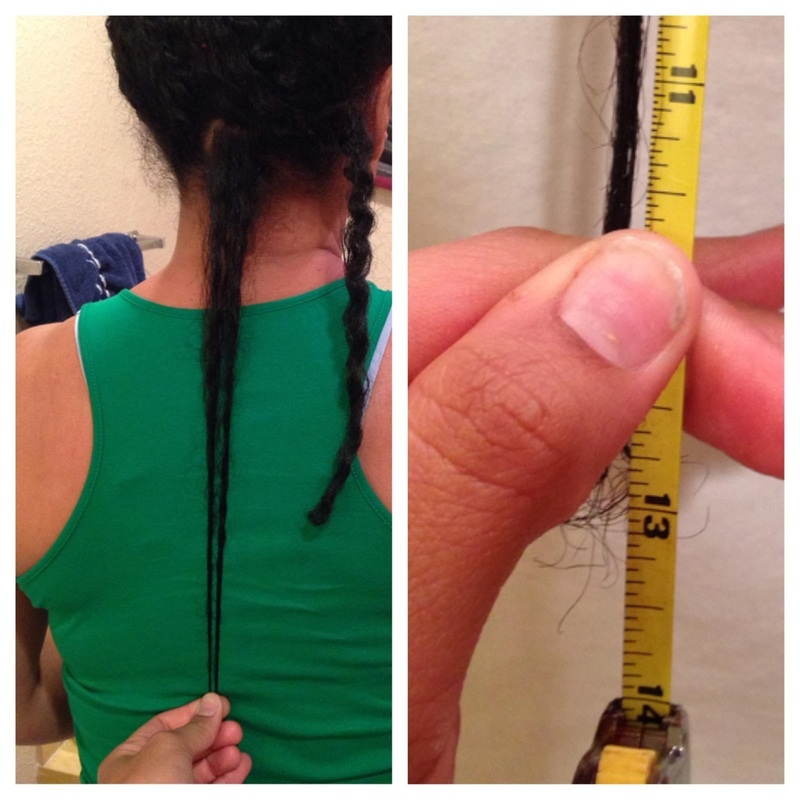 I want my hair to be waist length stretched out (without being flat ironed). I want to experiment more with different styles and learn to do a wash n go that looks great. I also want to enhance my hair routine without feeling the need to load my hair with too many products. Essentially, I want to learn my hair language - what my hair wants, needs, and requires. I want to learn to enjoy my hair without feeling like it should look or behave like someone else's - I guess I want to develop a hair crush on my own hair! WHAT IS YOUR HAIR LANGUAGE? Maybe you've already mastered what your hair likes and responds to. If so, how did you do it? Please share! ALL CONTENT PROPERTY OF LOVE MY HAIRITAGE. BLOGGER DESIGN BY SIGNATURES BY SARAH. Powered by Blogger.